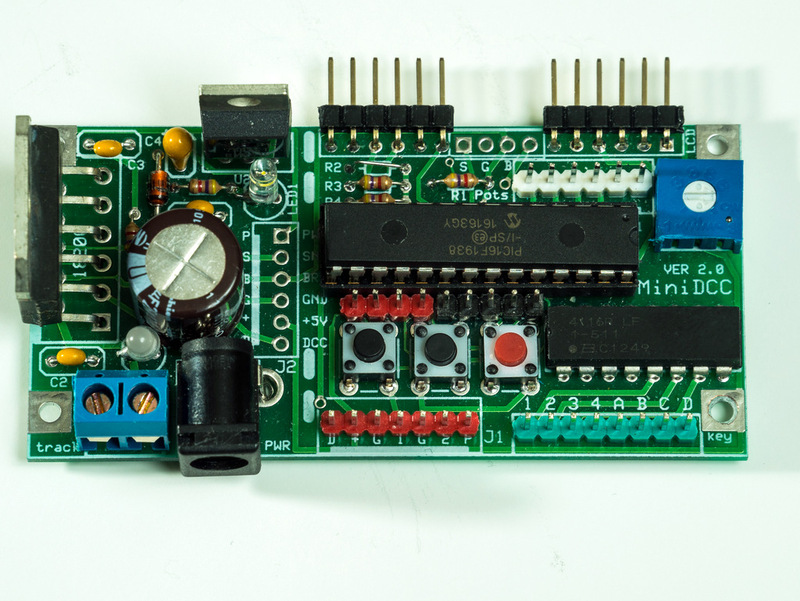 MiniDCC© - A Digital Command Control Do-It-Yourself Project! New for 2018! 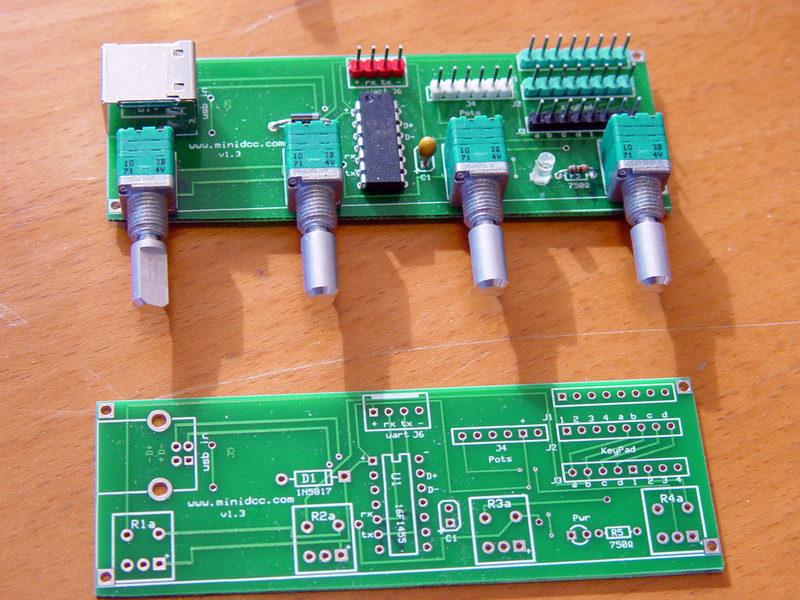 Analog Potentiometers Extension Boards including USB/UART chip! 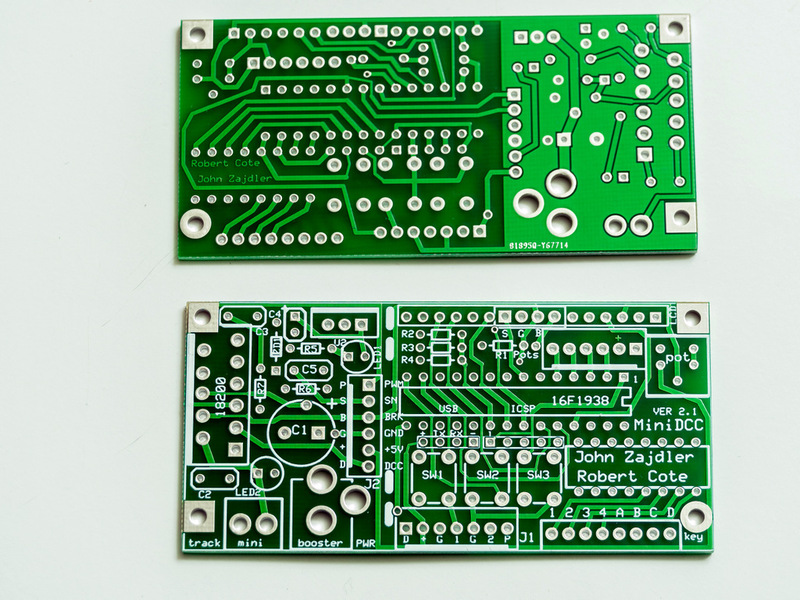 Pre-programmed 16F1938 MiniDCC version 2 available now! 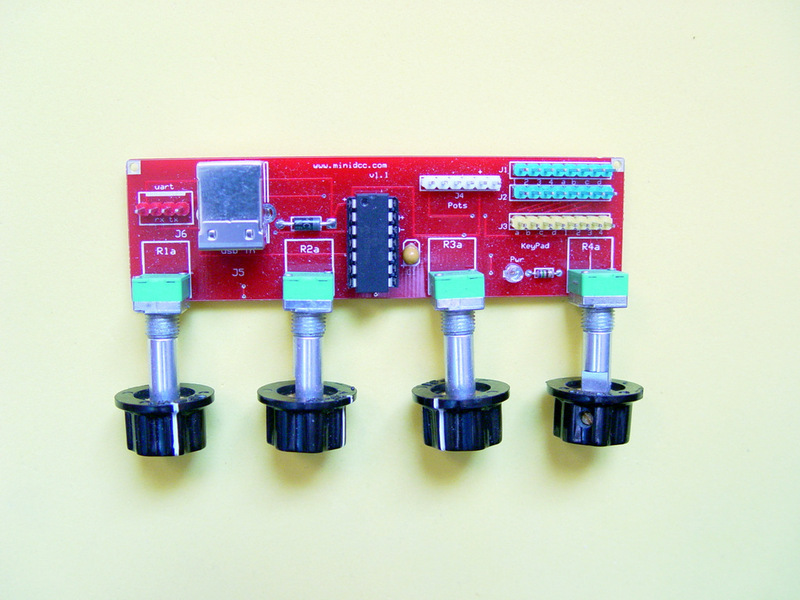 For easy interfacing the 4 potentiometers two additional PCBs are available now, one of them for potentiometers with push-button to change direction. 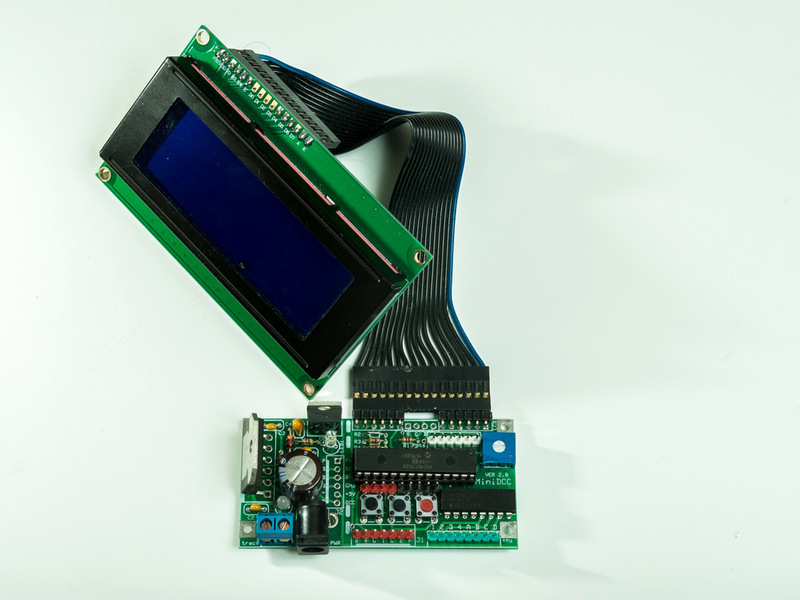 Both PCBs offers an USB/UART converter, using Microchip 16F1455, to provide a simple but efficient USB access to firmware updates and allows saving and loading of turnouts routes, as well as controlling / programming basic functions of 4 locos. 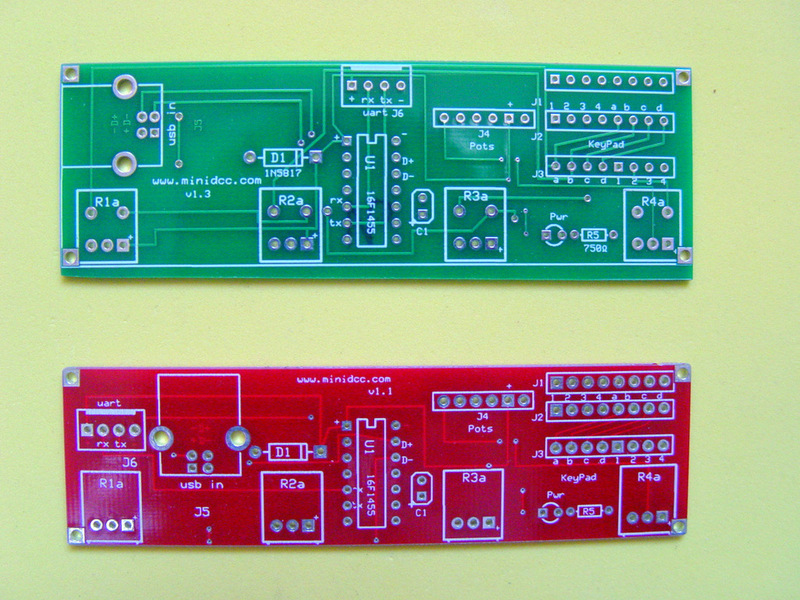 These addional PCBs simpilfies the wiring and offers each, beside the USB A connector, also two alternative interfaces either for Flat (0...F) or Telephone (0..D,*,#) type keypads. The MiniStation© has been improved considerably over the years. 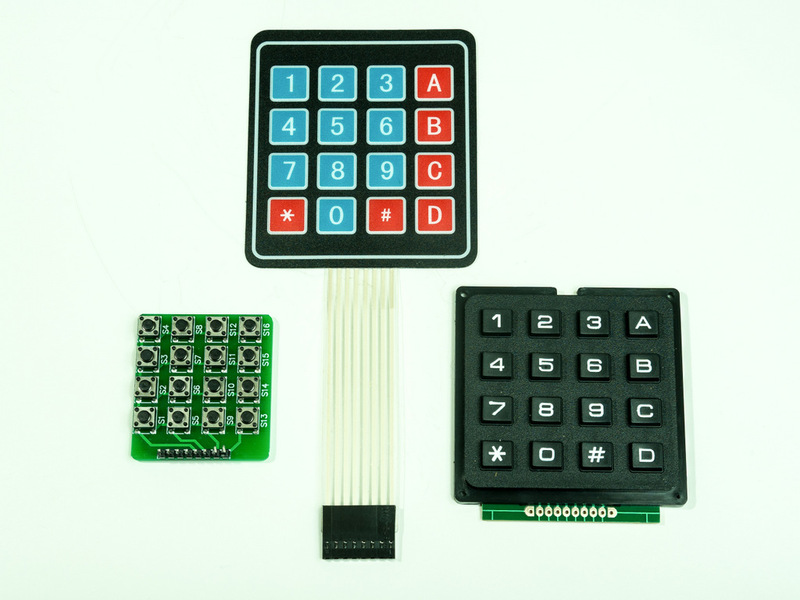 We have moved to a 28 pin template to allow for added features such as 4 discrete potentiometers for speed control, a UART/USB link for firmware update as well as Turnouts (Switches) route saving and loading using a PC. The companion MiniBooster© now provides for CV reading facility as well as complete power shutdown upon Emergency Stops. The memory assigned to Turnout routes as been increased to double the size available under the old 16F628. An extended Menu offers choice of display (16x2 or 20x4), Keypad or Potentiometer control, saving and retrieving Turnout routes, etc. While the MiniDCC© station can operate with any compatible NMRA booster, the optional MiniBooster© integrates the function of READING as well as WRITING to CVs using the usual NMRA protocol. The LMD1800T is an efficient MosFet bridge, providing up to 3 amps of DCC power with full short circuit and high temperature protection built-in. 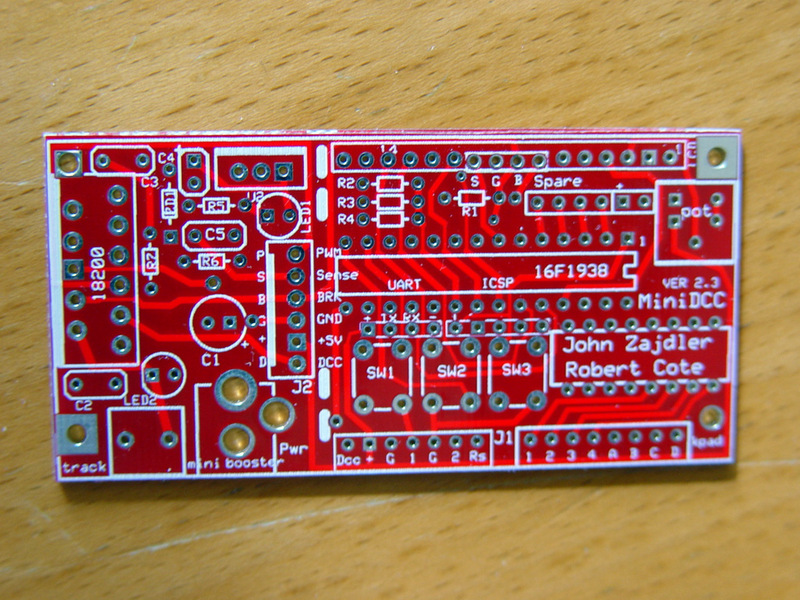 A double-sided PCB designed by John Zajdler is now available. Now you can control up to 4 trains simultaneously, up to 99 different turnouts/switches on 26 different routes (over 240 events) and program all your decoders (Read and Write) using any one of the 3 NMRA standards at a fraction of the cost of a commercial unit!